Pope Francis is in Africa for his maiden visit to these vast continent. Pope Francis chose to make his first stop in Nairobi, Kenya. A choice that saw the country so excited to receive the special guest.Plans to host him have been going on for months. Both the government and the church have been working tirelessly to make the pontiff’s visit a success. Pope Francis’s three days in Kenya were packed with lots of meetings and activities. He attended an inter religious dialogue where he called on other religious leaders to work for peace. Pope Francis celebrated a special mass for the country at Nairobi University;a mass that was attended by thousands of Christians. He visited the poor who live in the slums of Kangemi, Nairobi and in another event,he addressed dignitaries on climate change and environmental issues at UNEP headquarters in Nairobi . On the last day of his visit , Pope Francis wowed thousands of young gathered in Kasarani stadium.This was their opportunity to tell the Pope about the challenges they face from tribalism, discrimination and radicalization to peer pressure.Here Pope Francis spoke off the cuff.He spoke passionately,honestly and was even a little confrontational about these issues. It was more of a counselling session. He left them with the message that corruption is an evil they need to eradicate from their society. But for most of us ,the best part was when the pope met with the clergy,religious and the seminarians. Putting aside his prepared text, the Holy Father spoke of the joy of a life of radical service to the Gospel and of the radical faithfulness to Christ that is the guarantee of happiness and success in ordained ministry and consecrated discipleship.More than 8000 persons were at this event. Among the audience were the School Sisters of Notre Dame who even got some great shots of this great man. While explaining what it means to be called; Pope Francis explained to the Bishops, priests, brothers and nuns that one must live like someone who has been chosen by Christ himself. An official transcript of the Pope Francis’ extemporaneous remarks is being prepared. In the meantime, News.va has a video of the Holy Father’s address, with side-by-side English translation provided by the Pope’s interpreter, Msgr. Mark Miles. Categories: Kenya, Uncategorized | Permalink. 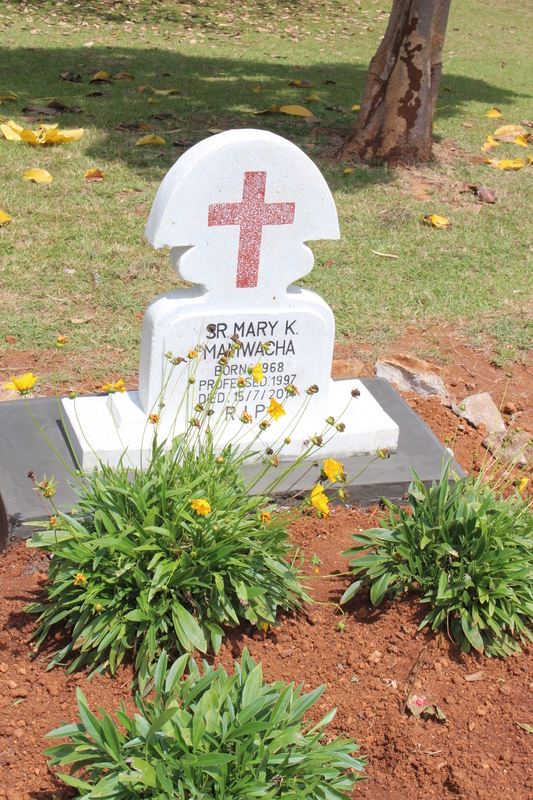 Today marks a year since our beloved Sr Mary Mamwacha SSND went to God. 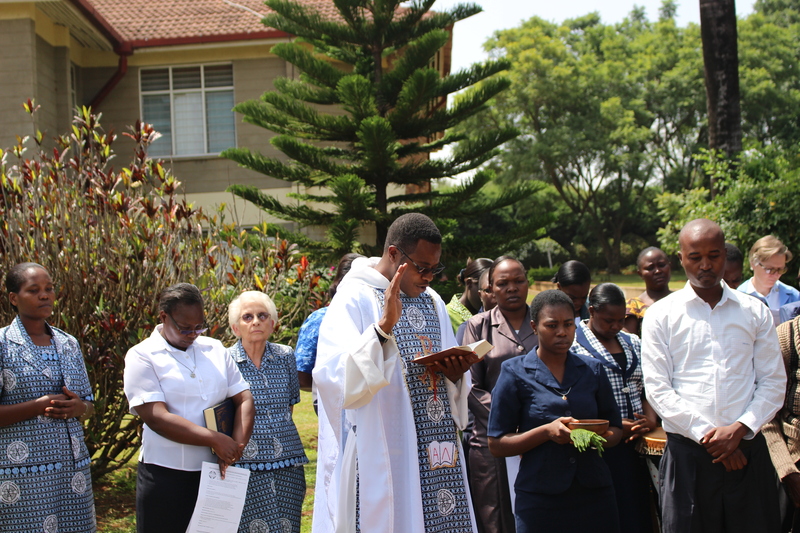 The School Sisters of Notre Dame in the Kenya area marked this special day on Saturday the 11th of July. 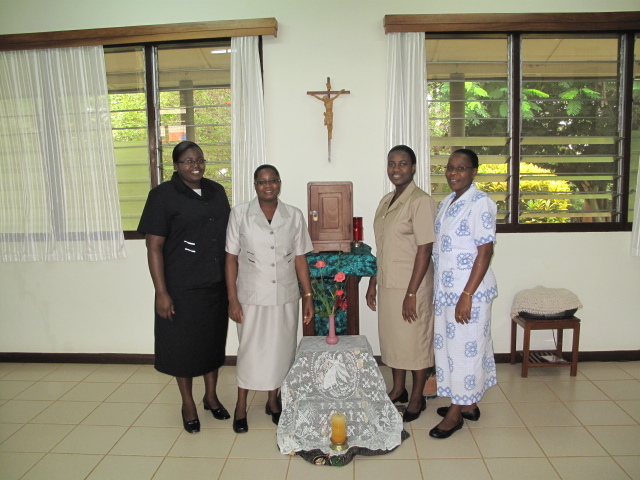 The sisters and Sr Mary’s family gathered at our formation house in Kisumu,Kenya in anticipation of Sr.Mary Mamwacha’s death anniversary. On this day, we gathered to celebrate the Eucharist and bless the new tombstone. The newly Professed sisters joined us in the celebration. L-R Srs Edna,Beatrice,Julie,Ruth and Joy. The celebration of the Eucharist was led by Fr Dominic OP .Among those present were the newly professed sisters who had just arrive from Ghana. They were part of the beautiful choir that sang at this celebration.The sisters shared with the family a gift of sister Mary’s memories. These memories recorded in a digital video disk tell of Sr Mary’s life and her last days on earth. After the Eucharistic celebration ,we all processed to Mary’s resting place and held a blessing ritual for the new tombstone. It was a great way to remember our Sr Mary, A woman of great faith who shared her love,faith hope with all the people she lived and worked with. May she rest in eternal peace. The sisters and family gather at Sr Mary’s resting place for the blessing of the tombstone. The family processes out to the place of rest. 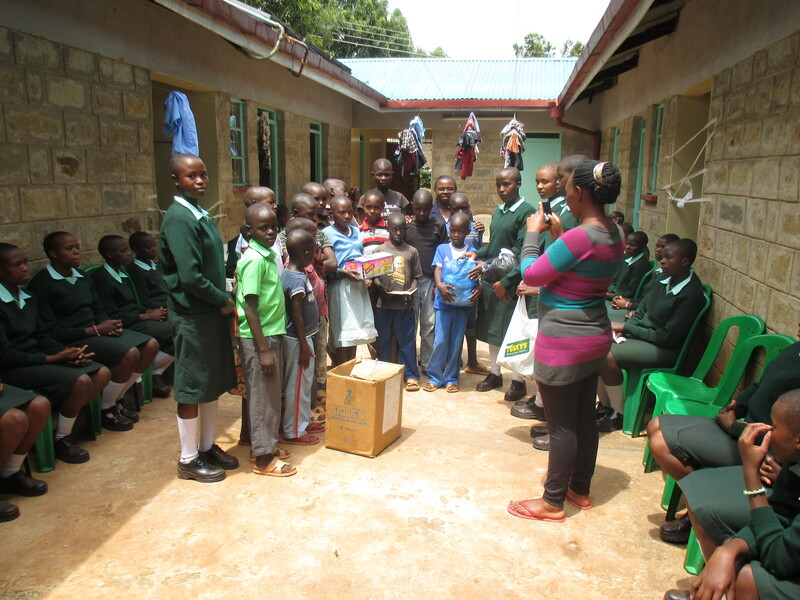 Categories: Uncategorized | Tags: Anniversary, Kenya Area, Kisumu, School Sisters of Notre Dame Africa, Sr Mary Mamwacha | Permalink. 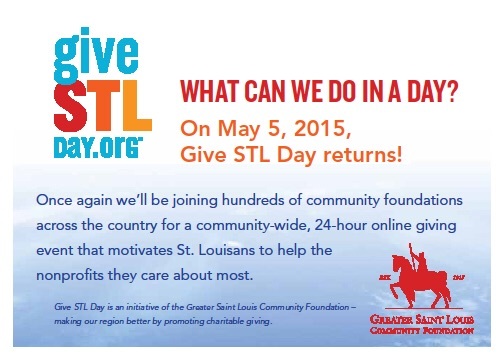 One great 24 hour period to support the non-profit of your choice. We are hoping you choose US! 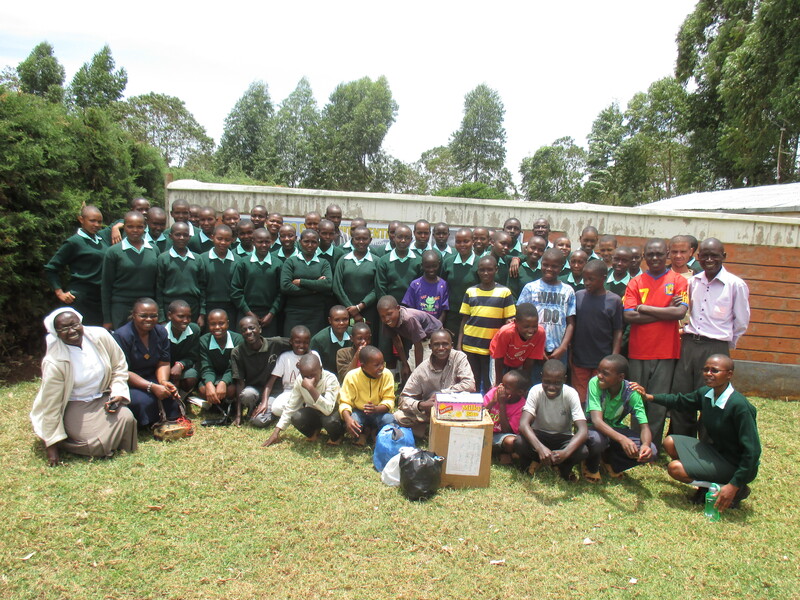 St Francis’ Girls, Kiptere Shalom Club members marked the end of a week program of women’s day celebration by visiting our friends in Kericho town. On a beautiful, Saturday morning we embarked on a journey to Kericho town to visit children in the “Living with Hope Centre.” A Centre managed by the Franciscan Sisters of the Immaculate Heart. The first group we visited was a group of former street boys. This group which is made up former street boys who were rescued from the streets and are helped to reconnect with their families. The Street children’s program at the Living with Hope Centre uses three ‘Rs’ to work with the street boys i.e. Rescue, Rehabilitate and Repatriate. The second group we visited at “Living with Hope Centre” are children living with HIV. These children have health challenges that are being managed at the Centre. We spent our day in the two homes sharing, chatting and making friends with the children. “As women of integrity who have been empowered, we felt the need to reach out to other people to empower and support them”. It was a very enriching experience for each of the Shalom club members We shared experiences and encouraged one another in life. Some of the stories were very touching and triggered emotions. In sharing of their experiences, the girls became more appreciative of the life and gifts/opportunities they have. Listening to the stories of these young people among many others have called me to be more attentive to the many voices that cry out around us and open our hearts to reach out as Christ would. 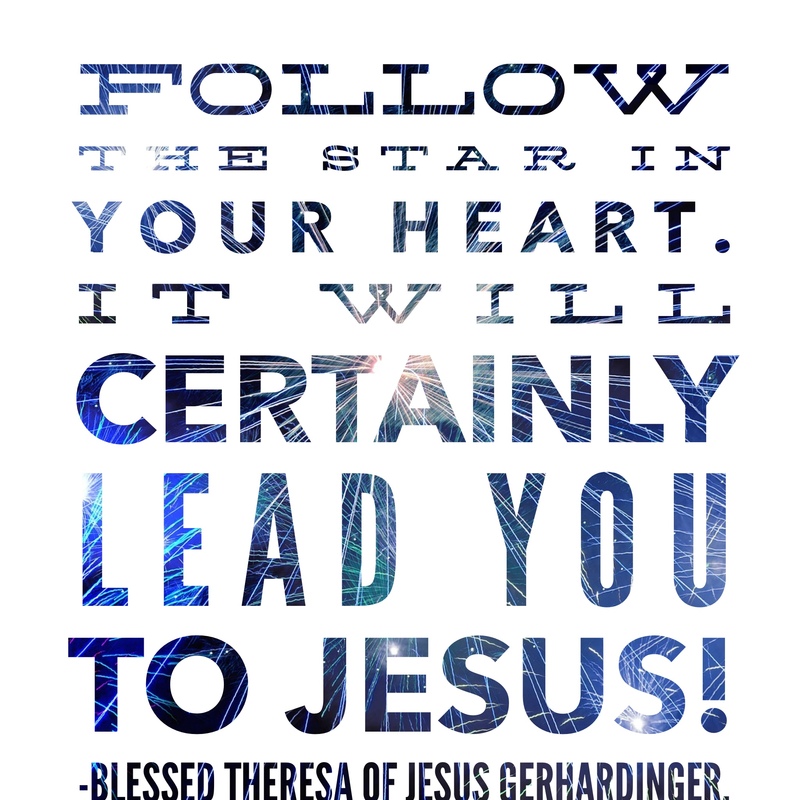 Let us be in solidarity with our brothers and sisters in this year of consecrated life. God bless you! 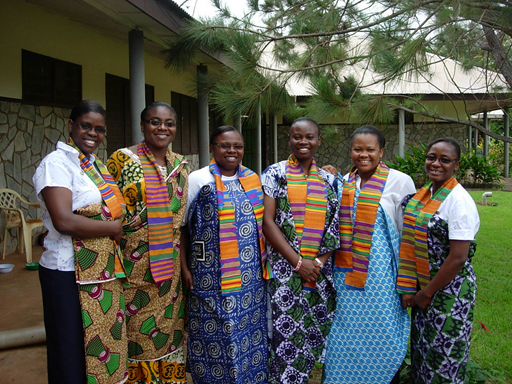 Sr Lucy Etim with the Shalom Club at a Women’s day Celebration. broadened her world vision and shaped her perspective. life came during her first Holy communion in primary school. they gave to us helped bring out the potential in each one. them to help others, serving God in that way as an educator. 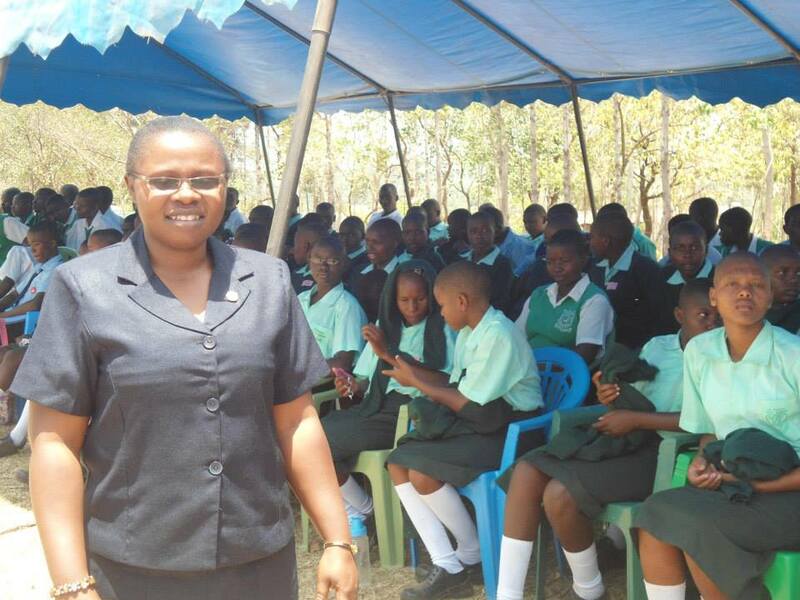 Categories: Kenya, Kiptere, School Sisters of Notre Dame Africa, Sr.Lucy Etim, SSND, St.Francis Girls | Tags: 40th anniversary, School Sisters of Notre Dame | Permalink. In celebration of the year of Consecrated life the School Sisters of Notre Dame will be sharing their call to religious life. This stories have been published in our newsletter “Trust and Dare” visit http://www.ssnd.org/aboutus/new sisters for more stories. 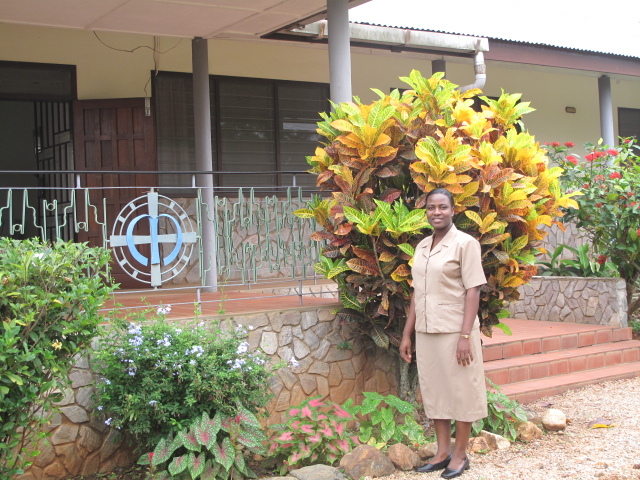 Sister Magdalene Akpan attributes her strong Catholic background with providing the incentive to listen and respond to the call to religious life. Growing up in the southern part of Nigeria, she was involved in different groups in her parish, which provided her opportunities to serve and evangelize. also for reaching out in service to God’s people. 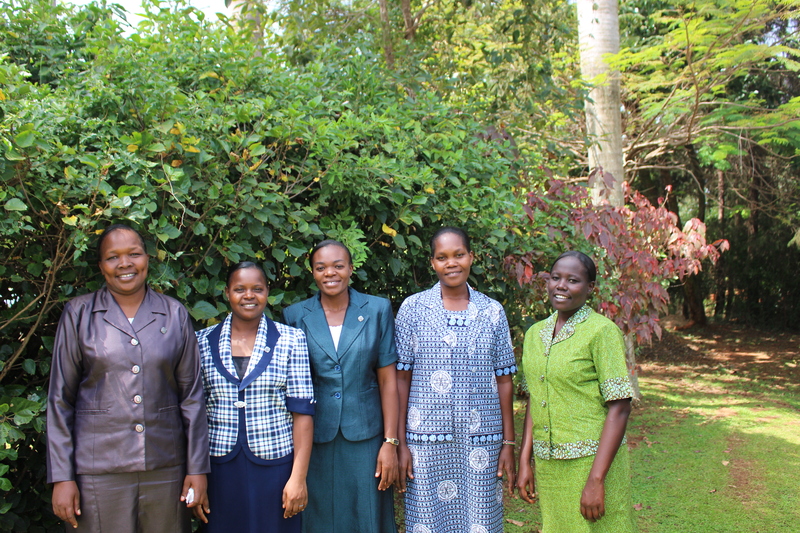 Sisters Gloria, Judy, Magdalene and Marceline pose for a group picture on their profession day. I believed the desire would be fulfilled in responding to the call to religious life.” In college, a friend introduced her to the School Sisters of Notre Dame. meeting with the School Sisters of Notre Dame. has given me the energy to be about the mission of Jesus Christ. 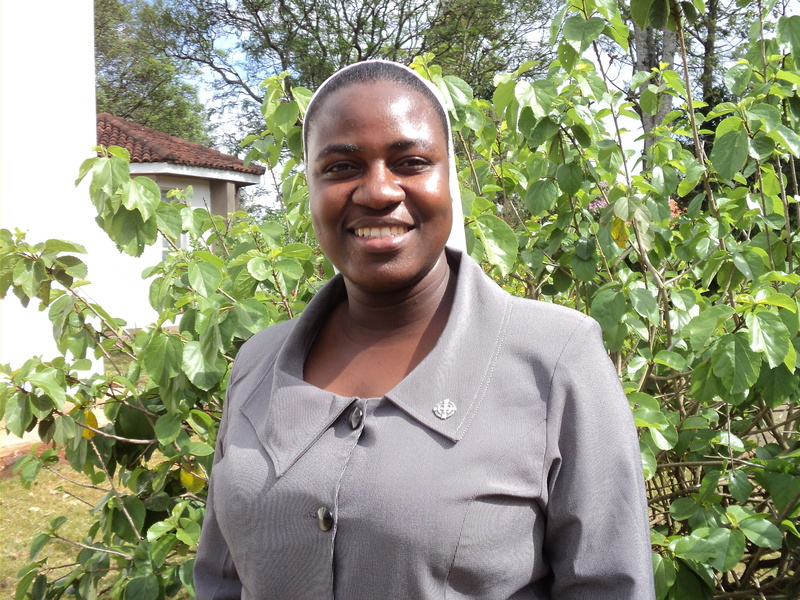 Our internationality is also a great gift.” Sister Magdalene teaches agriculture and business studies in Sister Michaela Girls’ Secondary School in Kenya. 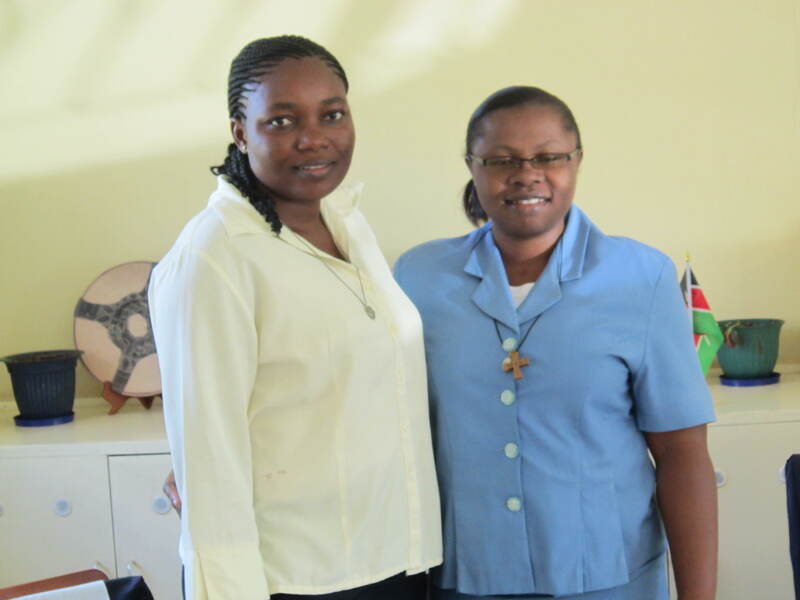 She also is co-vocation director in Kenya. Categories: Uncategorized | Tags: consecrated life, Nigeria, School Sisters of Notre Dame, Sister Micheala, Trust and Dare | Permalink. Come and See! Young women respond to the call. In late November last year, young women (from different parts of Nigeria) gathered on the grounds of the School Sisters of Notre Dame (SSND) at Mbribit Itam community, Nigeria. 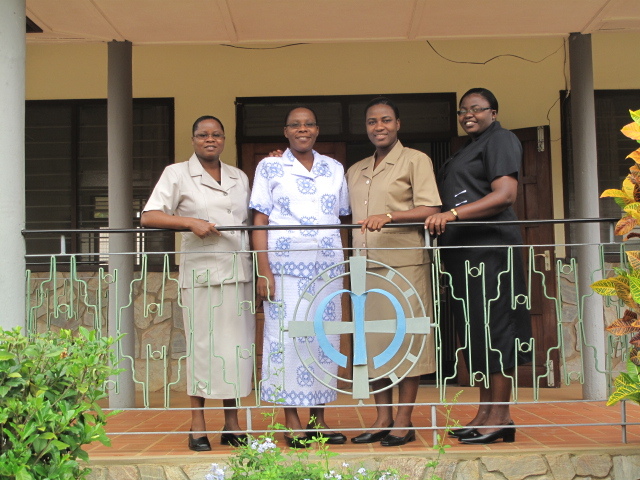 Sr. Theodora (far right) Novices Edna,Beatrice,Julie and Joy pose for a group photo with the young women. The aim of this gathering was to help these young women who are aspiring to join religious life begin to discern their call to this worthy life style through various seminars facilitated by SSND novices and sisters. Apart from the formal sessions, young women participated in other day to day activities like cleaning and cooking.They were sensitive to each other’s needs; their caring spirit and attitude was admirable. The last evening, which was set apart as social night, saw the young women explore their gifts and talents in songs, poems, dances and drama. 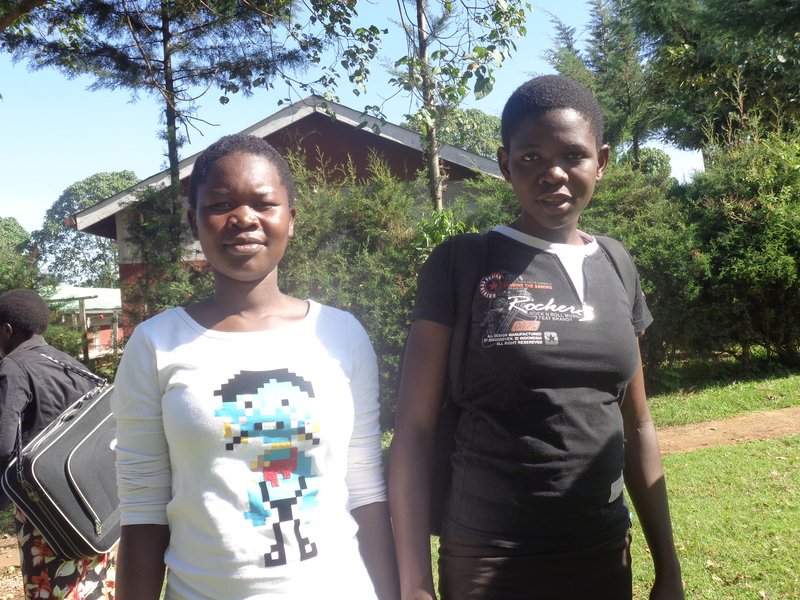 Young women arrive at St Francis Girls Kiptere,Kenya for the come and see days. 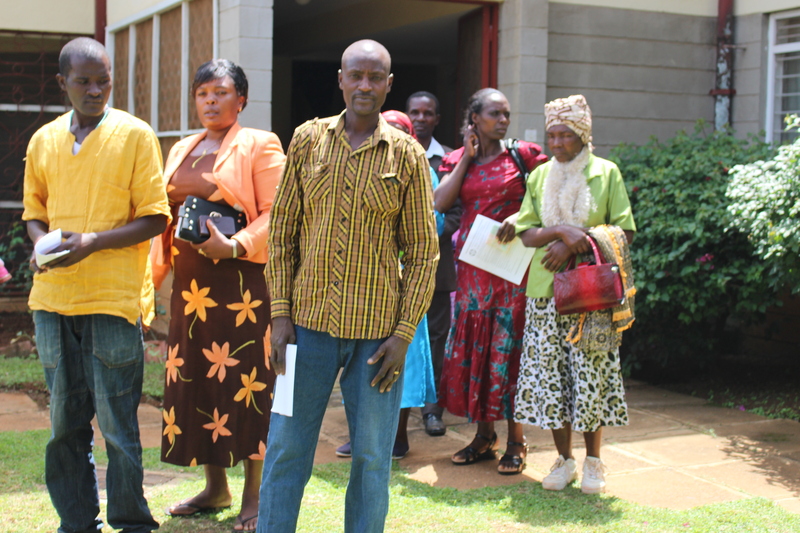 In Kenya, the Come and See Seminars took place in early December. Young women interested in knowing more about religious life came from different parts of the country.We converged in St. Francis School, Kiptere. The seminars are held each year in December . During these three days, we journeyed with these young women helping each of them listen and discern where God may be calling them. Prayer, reflection and mutual interaction created a conducive environment for the participants to discern the movements of God in their hearts. 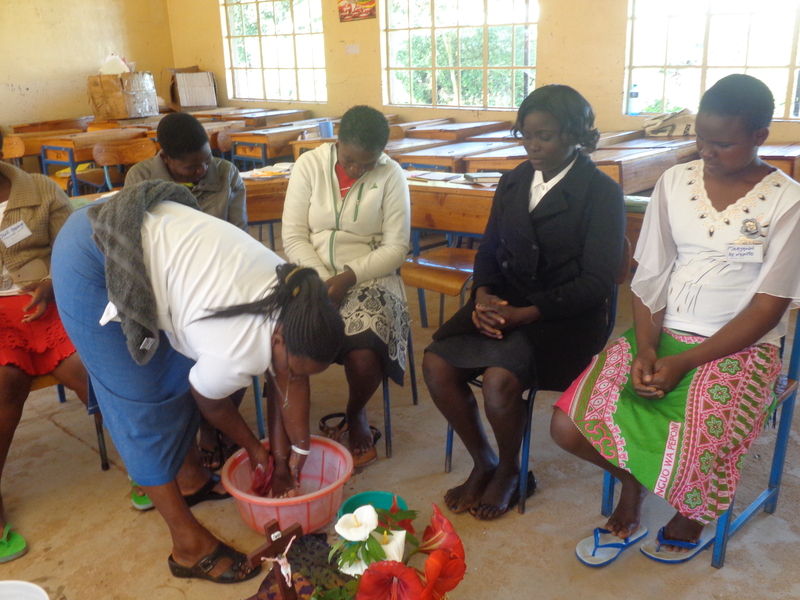 Sr Kanini washes participants’ feet in the Prayer and service seminar. On our part, we were touched and blessed by the presence of these young women during these days. 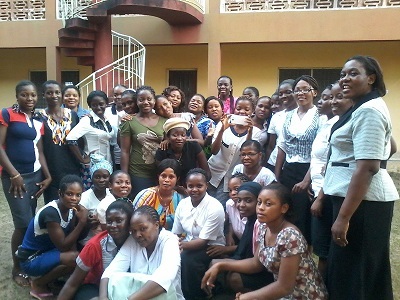 Novices Nduke and Monica (far right ) pose with the young women who attended the seminar on Call and Jesus.